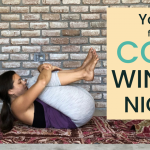 Celebrate the new year on your yoga mat with yoga for new beginnings! This is a yoga practice intended to get you moving so that you are starting the new year with energy and intention. You’ll do a lot of twisting, but each time after you twist, you’ll unwind into a pose that is expansive and bright. 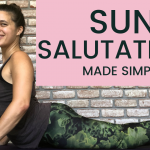 You’ll use the contraction of the twists to give you more power and stability so those expansive poses will feel supported, strong, and light. This practice mirrors the energy of the new year. Often you want to start with a blank slate. The truth is, no one really ever starts from a total blank slate. You begin from where you’ve been. In this practice, the sequences build. You start from where you left off in the previous flow. And it just gets bigger and brighter because you know where you’re coming from. 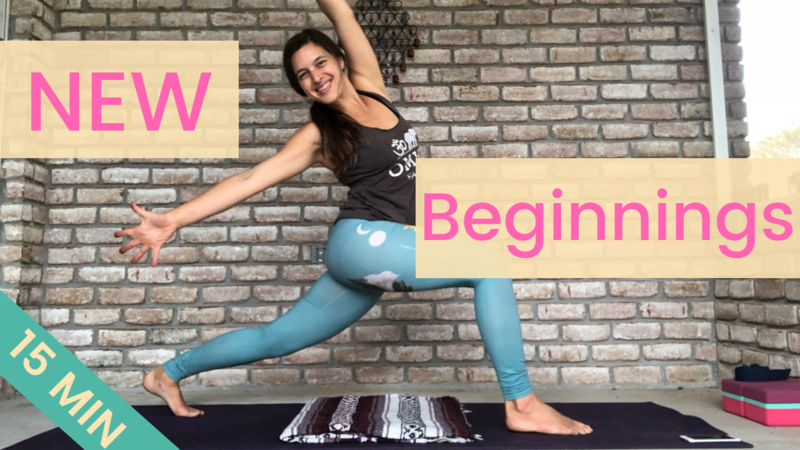 Whether you’re newer to yoga or want a fresh start this yoga practice for new beginnings will help you kick off the new year in style.